Please relax and enjoy the cuisine with plenty of freshly seasoned seafood on the island, surrounded by the beautiful Sea of Japan. 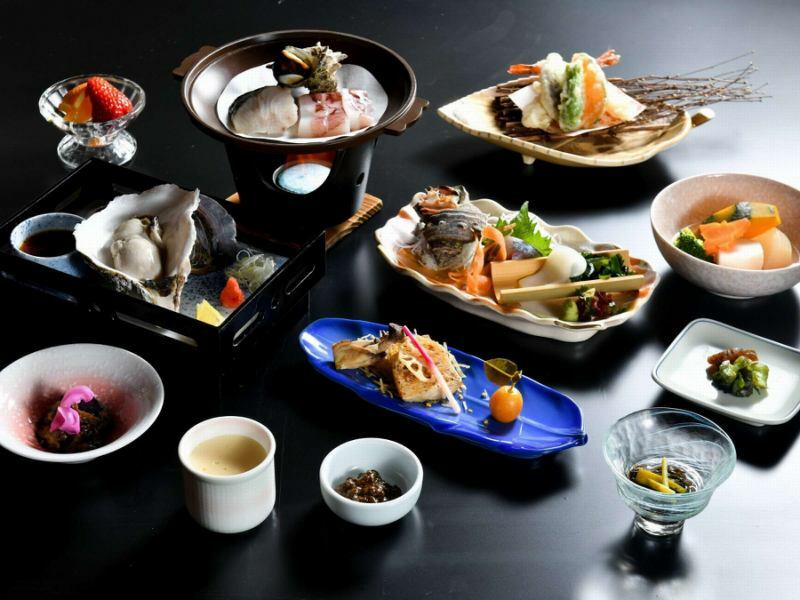 In addition to the standard course style cuisine course, special course with Oki Beef, abalone, brand rock oysters "Chunka" etc. are also available. Each course can be chosen in the plan of accommodation. In the beautiful sea, it takes three years to cultivate a special product of Ama rocks. The taste of the Sea of ​​Japan is absolutely packed. Among them, the brand name rock "Haruka" is a special product of Oki and Ama men who became known all over the country nationwide, is a brand name that can be attached only to rocks that passed strict standards. 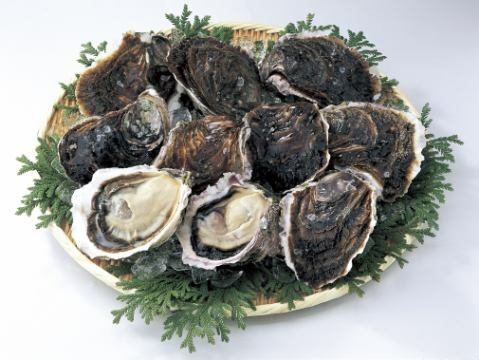 Raw shipment is unusual March to May, her body is thick, creamy, contains a refreshing sweetness in its rich flavor, and as a high-grade food with a high scarcity value, it is the oyster bar in the metropolitan area, It is also useful in department stores and others. By using the technology "CAS freeze" that keeps the taste and freshness of the season as it is, you can enjoy it any time of the season. Rock of CAS frozen commodity "Chunka"
In the privileged natural environment, consistent breeding is carried out, "Oki Beef" boasts safe and high quality. Today, in Ama-cho, more than 140 Oki Beef a year are shipped to the market in Tokyo as 'Island born, island-raised, Oki Beef'. In the market, A5 is rated as the highest rating, over 70% of the cattle are rated as A4, A5, and are distributed as brand cow "Oki Beef". 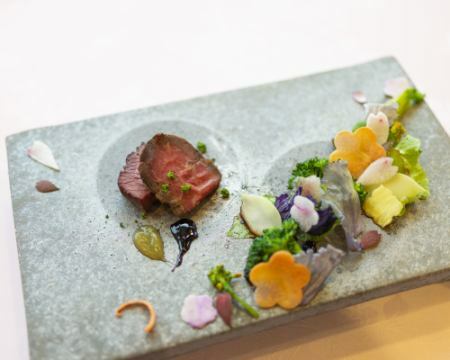 Among cattle born in the island, about 10% of those that are on the market as "Oki Beef". It is exactly the black hair Japanese Wagyu. Ama is said that the ocean's ocean is rich in fish species and has a good taste as it is located in the sea area where the ocean currents from the south and the north intersect. 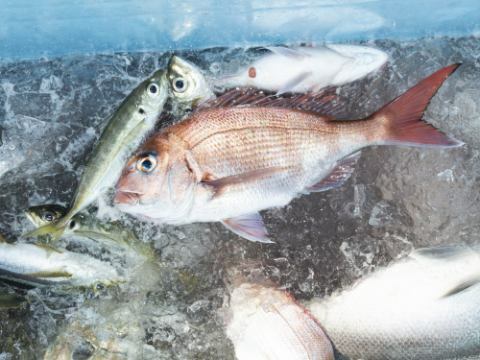 Fresh fish is going to purchase for fixed net fishery, known as "Oshiki", which is carried out every day in the southernmost tip of Ama-cho in the area called Saki. If the departure time differs for each season, the fish that will be acquired will differ from time to time as a matter of course. Also, a wide variety of seaweed is one of the attractions of the Ama. Oki mozuku, Seaweed, Mechab, Alame, Sozo, Zimba···Please experience the taste of seaweed again. 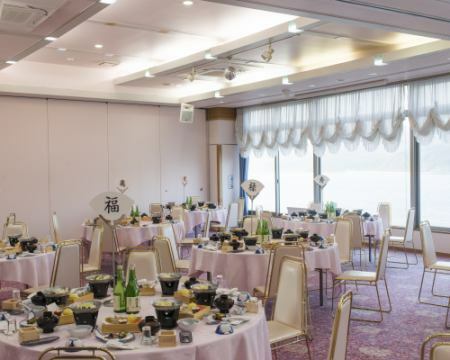 In addition, seasonal ingredients are always offered, including wild vegetables, mushrooms and vegetables, so Okinagi is decided by the sea and mountainee acquired at that time. Oki's local sake made by "Oki Sake Brewery" after the island. "Oki Honor, Pure Rice Ginjo, Permanent Banquet" is an island of Japan's famous 100 islands, Oki Island's Ama-cho Sake rice "Improved Otomachi" made by locally produced producers and 100 famous Japanese name water It is a liquor that you have carefully built up under the rich natural environment using the "Tenkawa water" in Ama-cho. In addition, seaweed shochu "Ishoko" made from seaweed and rice is an unusual liquor characterized by a slightly incense incense. 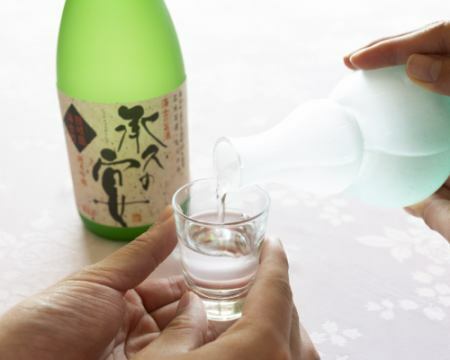 In addition, you can drink a variety of Oki's liquors at the restaurant. We also sell it at the shop, so please have a look. 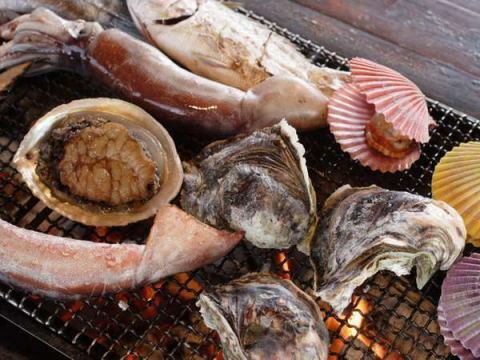 For dinner you can choose a splendid seafood BBQ at BBQ House. Whole Ama seafood···Please enjoy various types of fresh seafood in the morning, including fish, squid, shellfish, mechabu and so on to your heart 's content. We are available from time to time as requested, such as special meal meal, use at the year-end party / new year party, ceremonial meal dinner etc. We can accommodate up to about 80 people. As we can arrange the venue and the contents of the dishes, please do not hesitate to contact us.